Karpos was founded by three experienced professionals who believe that audiovisual media and new technologies through constructed hands-on group work, encourage creativity and support the exchange of ideas. We aim at helping young people and adults to become more conscious and acive citizens in our multicultural society. Film director and Media Educator. Her documentaries, have been screened in Film Festivals and TV channels around Europe. Since 2002 she also works as a Media Educator starting with the nationwide Melina Project- Arts in Education and the Chicam project at the Institute of Education, London. Currently she designs media workshops for various programs in and outside schools both for children and adult educators. European projects include: The Videomuseums, CH.I.C.A.M, Stranger Festival, ECOWOMEN, North Aegean Narratives, University of Frankfurt, the JOBAct project in Germany. 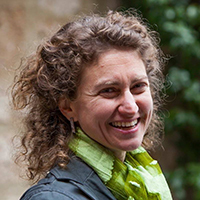 In Greece she is responsible for media projects at the University of Athens (Roma children), British Council, World Wide Fund and several Educational Authorities. Maria trained in filmmaking in London and Denmark. She holds a BA in History and an MA in Art History and is currently a PHD candidate at the U of Athens, researching early childhood media issues. Film Director specialized in the use of media in education. On behalf of different educational and cultural institutions he has designed and participated in several projects regarding the areas of Media Literacy and use of Media in Education, with partners from Greece and collaborating EU countries. He has designed educational material assisting the teaching of History in Primary School and the acquaintance of children and students with the means of cinematic expression. 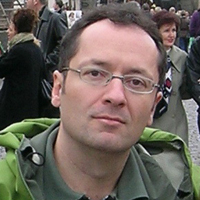 Member of the Central Committee for the “Melina Project; Education and Culture” (1995-2003) and Head of Media Education and Audiovisual Expression activities. 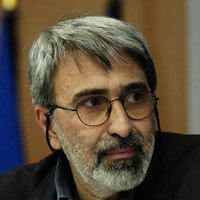 Since 1984, he has been working as a film director in ERT (Greek National Broadcasting Television). He has a double major in Psychology and Sociology. Consultant in European project development, mostly in the fields of sustainable development and cultural heritage. From 1995 to 2001 she was working on public awareness on sustainable development and she participated to the development of public participation methods with various French NGOs. 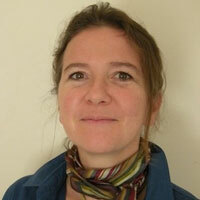 Since 2001, she is responsible for the coordination and the development of European projects in Greece. In this context, she was also in charge of the development of dissemination tools (networks, exhibition, seminaries, web site, books and leaflets). She holds a PhD in Environmnental Law. Louisa has a background in engineering and has graduated from the Royal College of Art in 2005 as an industrial designer. She worked in London in various fields of design, industrial and interaction design, design for public installations and exhibitions for both private and public clients. 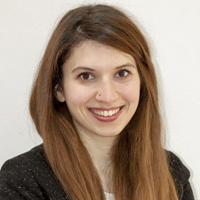 She is interested in technology and new media and has taught Technology, Design and Innovation in MEng and MA courses as well as expression and creative thinking through digital media in schools, in London and in Athens. Terpsi Kremali is a graduate of the Department of Fine Arts and Sciences of Art, University of Ioannina. 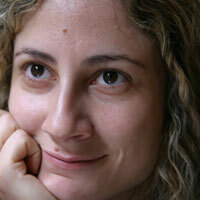 She has also a master degree in Digital Communication Media and Interactive Environments, University of Athens. Since 2012 she has worked as a graphic designer in advertising agencies (Restart Promotion, Diadrasis, Wide Services), as an coordinator in children's events, as an animator/guide in HELEXPO' s exhibitions and as a columnist in Experimental Film Tributes. In the present, she is working with Karpos​ as an event coordinator and teacher​ in audiovisual workshops. She is actively engaged in artistic pedagogy, video art and visual communication. Her work has been exhibited many times in major artistic events such as Athens Video Art Festival, Festival Miden, Dourouti and the Folklore Museum Costas Frotzos. 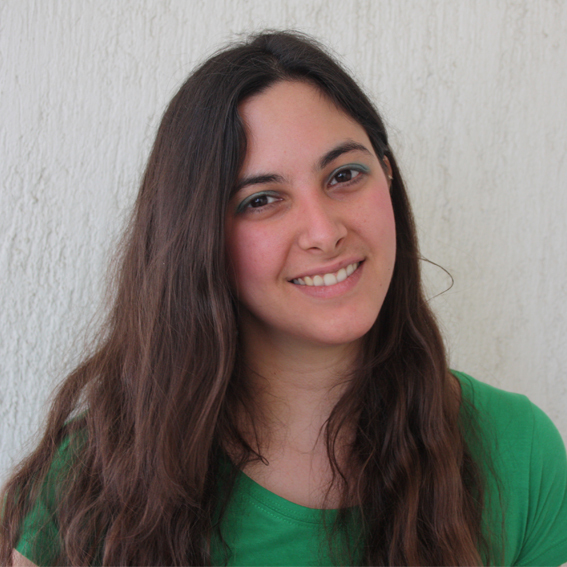 Maria Trochopoulou is a graphic designer and educator - animator in alternative learning processes. She has studied Photography and Audiovisual Arts at Athens University of Applied Sciences and attends the postgraduate program of the National and Kapodistrian University of Athens on "Information & Communication Technologies in Education". At the same time, she has been educated and has been practicing alternative and anthropocentric training methods, such as the Waldorf and Forest School systems. The last few years is collaborating with Karpos for animation and audiovisual workshops. Finally, she works as a Creative Director in an american start-up (Baby Sleep Made Simple). Marilena is a photographer based in Athens, Greece. She has started studying photography at the University of Central Lancashire, UK (2011) and she had finished her studies at Leica Academy Greece (2015). She participated at the Antiparos International Photo Festival, Greece 2016. She had also been trained in two workshops about documentary photography with Enri Canaj (Magnum), in 2015 and in 2017. She completed an e-learning course at the Center of Continuous Learning of the National and Kapodistrian University of Athens about Cinematography, History, Practical and Basic Principles of Directing (2017). She had also documented the social isolation of Pomaks, Muslims that are living in Pomak villages, Northern Greece (2017). Finally she was a trainer at a photography workshop at the Refugee Camp of Schisto, working for Karpos. Margarita graduated from Athens University of Applied Sciences as a Graphic Desinger, with a specialization in animation. 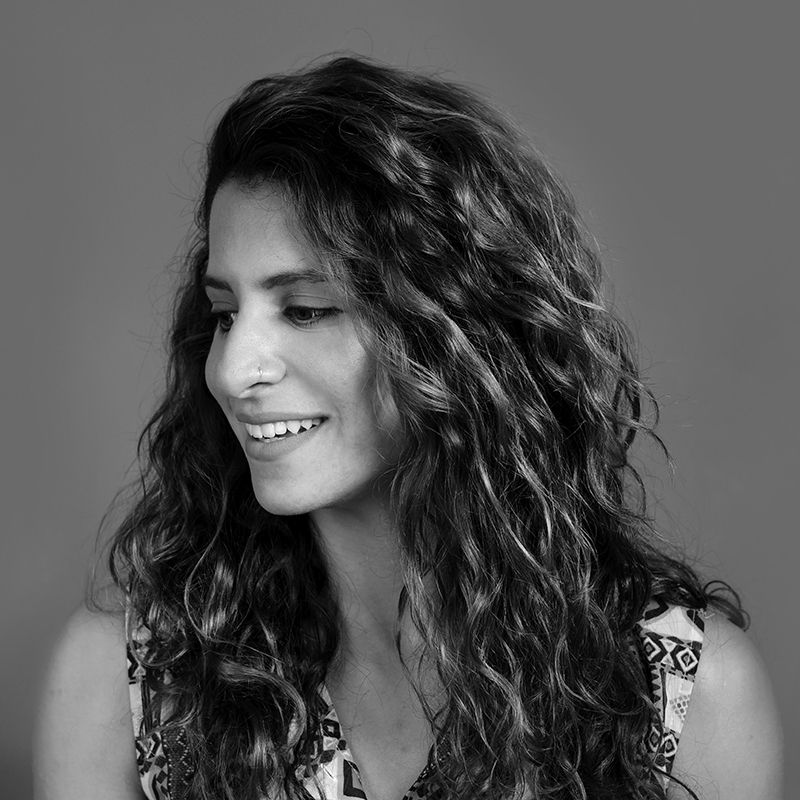 Since 2013 she has worked with various advertising companies in the area of graphic design and animation, as well as, with cultural organizations (Onassis Cultural Center, Michael Cacoyannis Foundation, etc.). She has created three short films (Life like a pencil, Seed, Buton-off) that have competed in notable Greek festivals. “Life like a pencil” has won 1st prize in the greek films category of Athens Animfest 2013. Moreover, she has worked as an educator of audiovisual arts with various cultural organizations (Karpos, Animasyros, Exile Room). Diana Kefalogianni obtained her Bachelor's Degree in Media Communication and Culture from Pantion University and then got her Master's Degree in Cinema &Audiovisual studies from Pantheon Sorbonne University in Paris. She has worked as a communications officer for many film festivals in Greece and abroad,in educational programs as well as in film production. Filmmaker, with Academic studies in Economics, Cinema & Theater, at Free University Berlin, Germany. He followed post graduate studies in «European Master in Multimedia and Audiovisual Business Administration» and «Issues of administrative and legal organization in production companies for audiovisual applications" via MEDIA programme. As a freelancer, he designed and implemented events on behalf of various clients, such as Flocart (Goody's art & events gallery). He founded iPark AV Productions Co. in 2004. He directed documentaries, short films, television shows, portraits of artists, video installations, educational and corporate videos, joining forces to support university programmes, museums and schools. 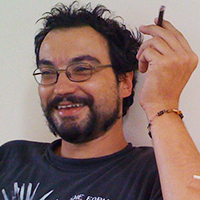 George Pitsakis has been assigned with several projects in the audiovisual field and film education. Awarded in Drama Festival 2001 for his short film, he has also directed and edited a feature film and several commercial and documentary videos. He is constantly interested in independent film-making and coaching of creative workshops and film education projects.